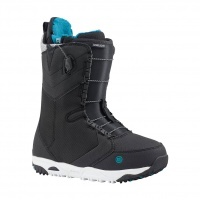 This is our range of Snowboard Boots. 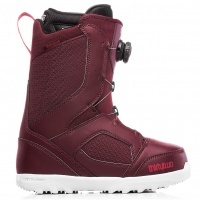 We stock men and womens snowboarding boots from the best value and best quality fit and build. We understand it can be hard choosing boots online so we welcome you into the shop to try before your buy! 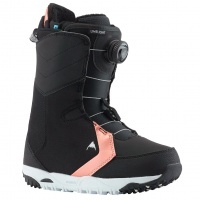 Lightweight, versatile all mountain performance with convenience of Boa closure you can't go wrong with the Burton Limelight Boa Black Womens Snowboard Boots. 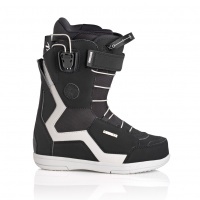 The Burton Limelight is your answer to all day riding without any pain in your feet! Featuring all the tech needed to keep your feet warm, dry and comfortable. Taken on for being some f the comfiest boots we have ever had the pleasure of slipping our feet into, Deeluxe have now crafted the ID 6.2 Lara in Black! Possibly the comfiest boot you will ever slip your foot in to, the Deeluxe ID 6.3 Lara PF is your answer to outstanding comfort and performance throughout the mountain! 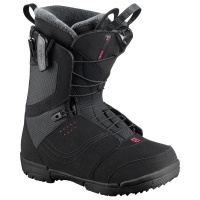 The Domino is the womens all mountain fast lacing boot with stacks of performance. Great liner and fit super quick reliable lacing and lightweight. What else do you need? 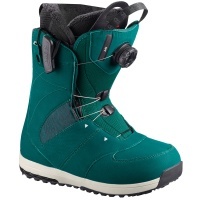 The Deep Teal Salomon Ivy Boa SJ Womens Boots deliver top level tech and stunning looks. 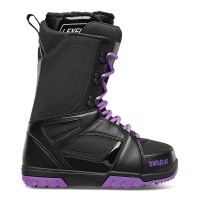 BOA closure with Str8jkt heel hold and medium stiffness is perfect freestyle all mountain riders. 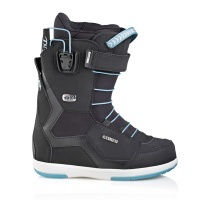 The Salomon Pearl womens snowboard boots in black are great beginner to intermediate boots. Coming with dual zone fast lacing forgiving flex and all day comfort. 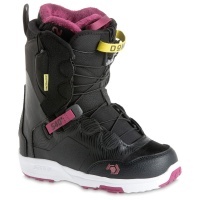 Stay warm & comfortable all day on the slopes with the Thirty Two Exit Womens Snowboard Boots. 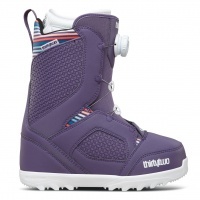 One of the best entry level women's boots on the market (& slopes). The Thirty Two STW Boa womens boot is a soft flexing boot perfect for beginner to intermediate riders. BOA lacing takes away all the effort of putting your boots on! The Thirty Two STW Boa womens boot is a soft flexing boot perfect for beginner to intermediate riders. The simple BOA lacing takes away all the effort of putting your boots on! One of our favourite choices of boots for this year! 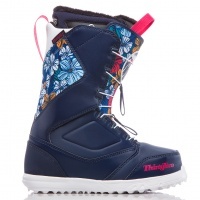 The Zephyr FT Floral with quick lace system is as stylish as snowboard boots get! Be the one standing out this year!